* product was received to facilitate a feature, all opinions are my own. Not too long ago, I introduced you to the Disney Infinity 2.0: Marvel Superheroes. We love them and they have made the list of our very favorites for gifts this holiday season in our holiday gift guide. Just in time for the holiday season, Disney has released another set of incredible figures for 2.0 that kids everywhere will be going crazy over! 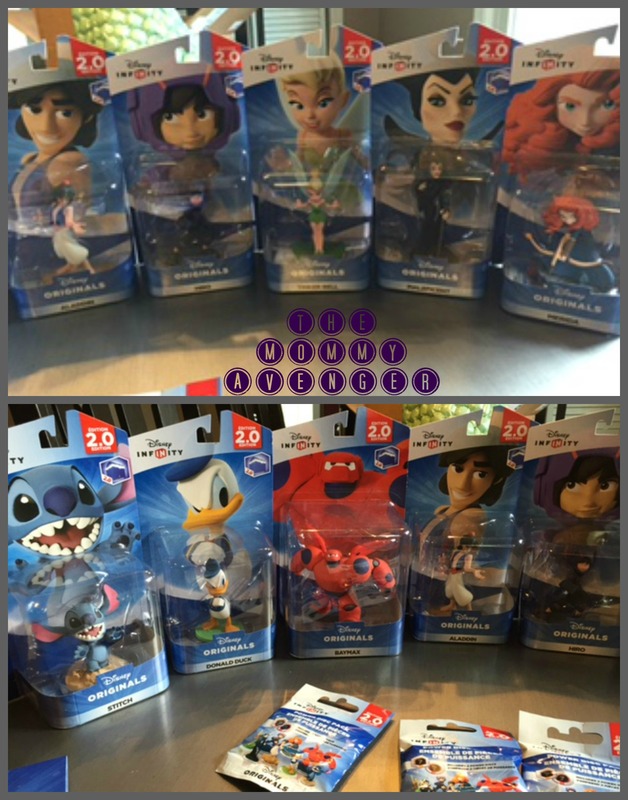 We were sent some of these fun characters that make up Disney Infinity 2.0: Toy Box to check out, and indeed, these much awaited friends are so much fun! I love that the whole line up of both Disney Infinity, Disney Infinity 2.0: Marvel Superheroes, and Disney Infinity 2.0 Toy Box all work together to create the ultimate gaming experience for kids and grown ups alike. Toy Box characters that have started to be released starting November 4th include Merida, Stitch, Maleficent, Tinker Bell, Donald Duck, Aladdin, Hiro and Baymax. Having just seen Big Hero Six, my kids were more than ecstatic to start playing with Hiro and Baymax first. The cool thing about these figures it’s like having an action figure of your favorite character that can actually open up an entire virtual realm for you to play on, too. We love the Marvel Superheroes and are really happy to have these other Disney favorites to add to our playing experience, too. There is certainly something for everyone. I love that both boys and girls can easily play with this game and that older figures from the initial launch of Disney Infinity can be incorporated into the new platform. Disney hit a home run with this game and corresponding figures and we highly recommend it to you this holiday season! You can purchase the game on multiple gaming platforms and figures for both Toy Box and Marvel Superheroes online and at major retailers everywhere.